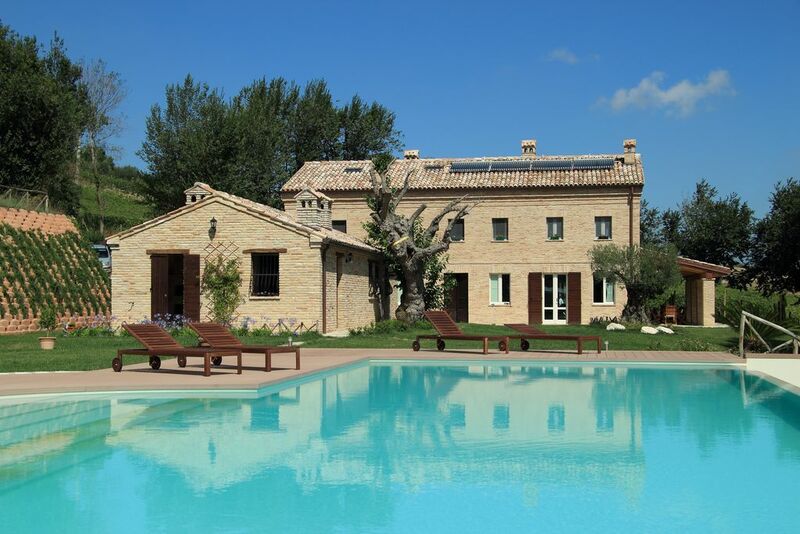 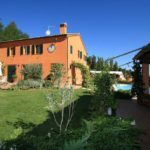 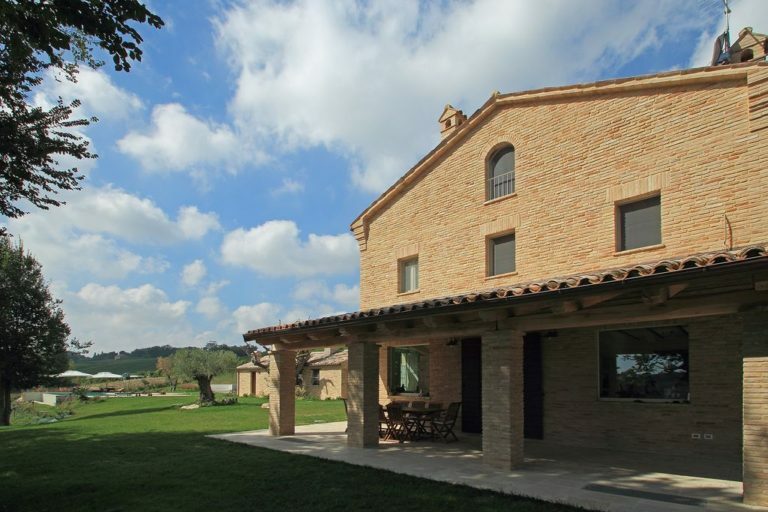 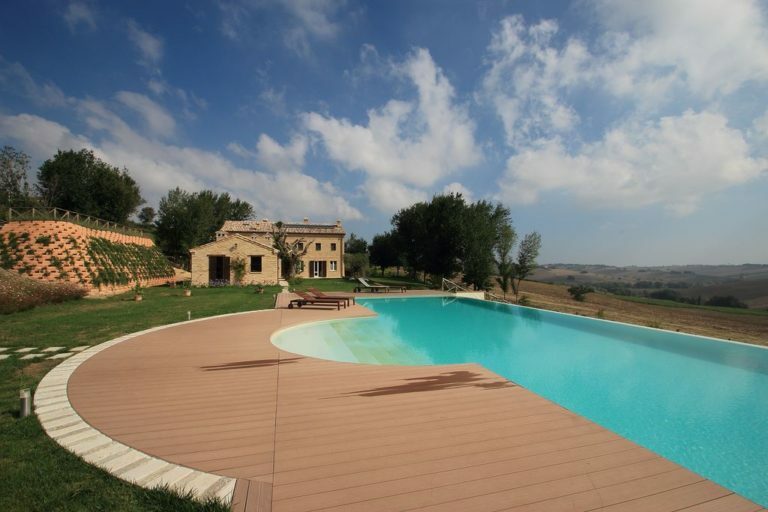 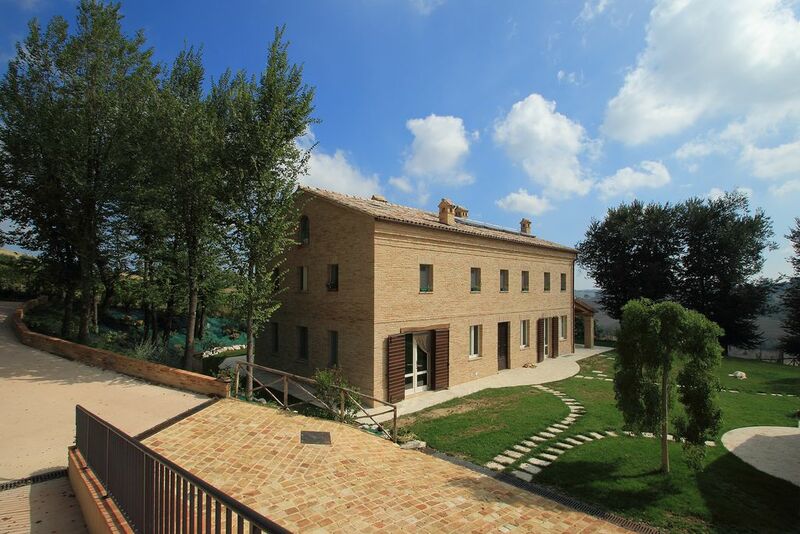 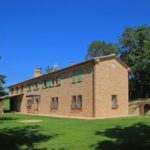 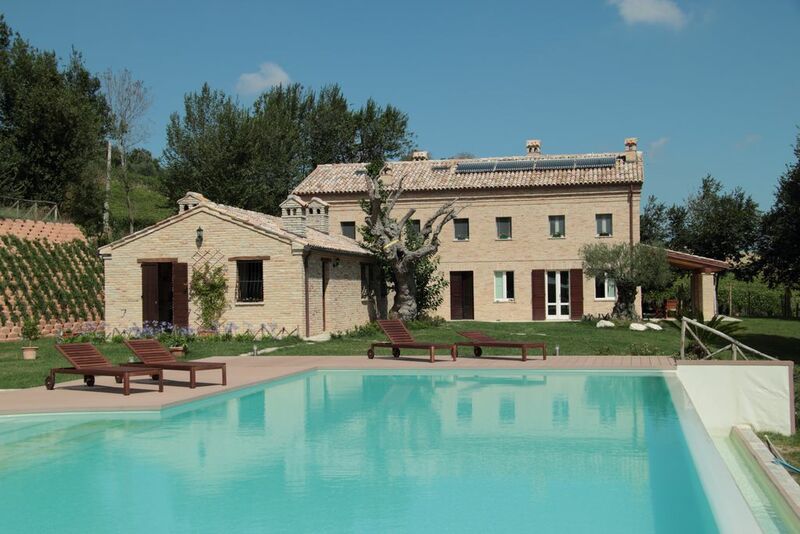 This farmhouse in Morro d’Alba, in the province of Ancona, is located in the famous area where red wine Lacrima di Morro d’Alba and its lush vineyards are cultivated. The main building, which was already in bad structural conditions, was demolished and then rebuilt in the same position, also a cellar was built. 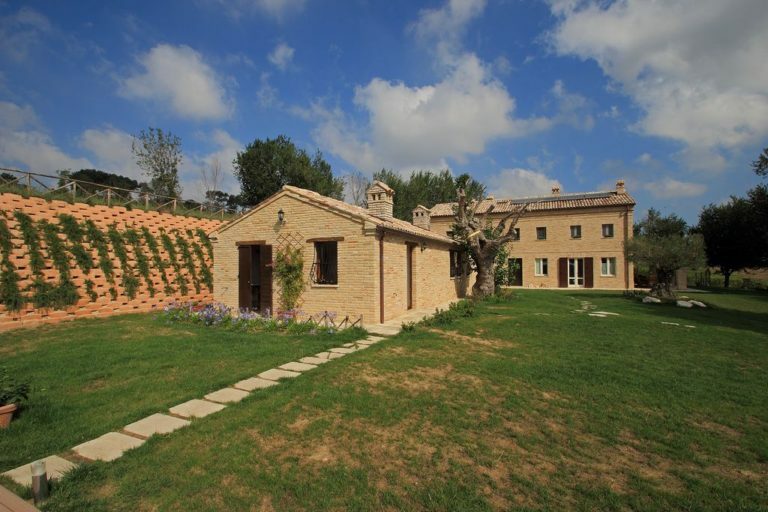 The farmhouse was turned into a Bed & Breakfast and has been divided to keep separate the guests’ area from the private one. 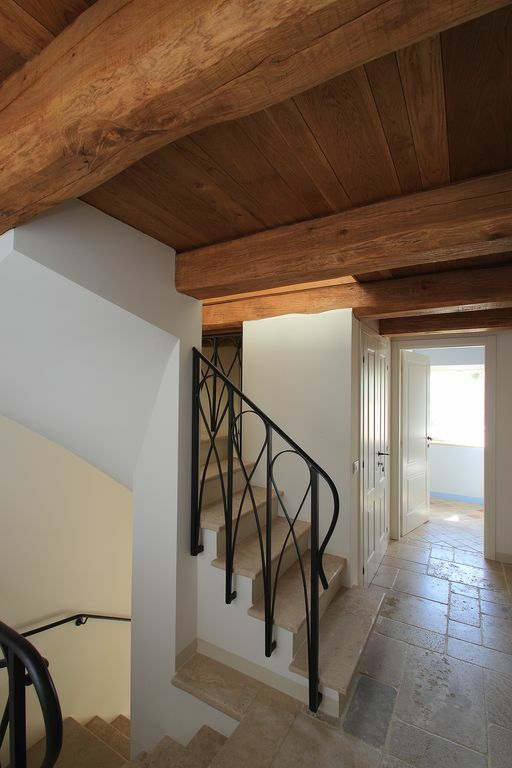 On the first floor, entirely dedicated to guests, there are three bedrooms and three bathrooms, while the other section of the house is the private one for the owners. 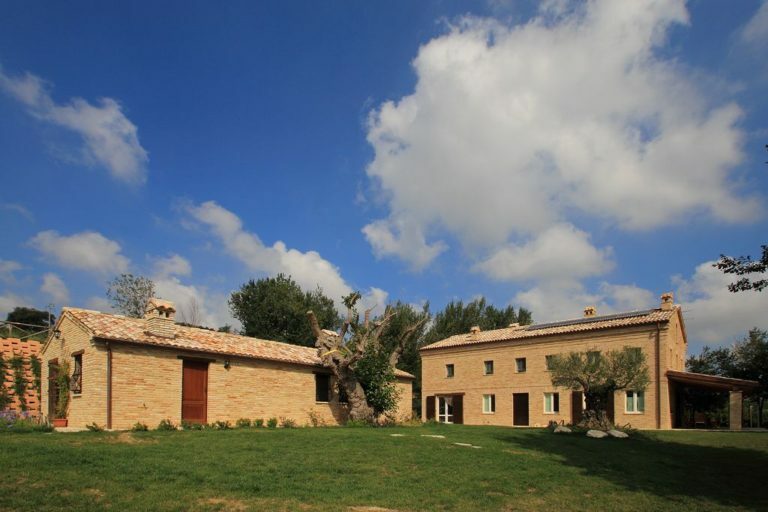 Finally, the peculiarity of the farmhouse is the attic in which, instead of using it as a rooftop room, there is a bedroom with dressing room and a bathroom, particular indeed. 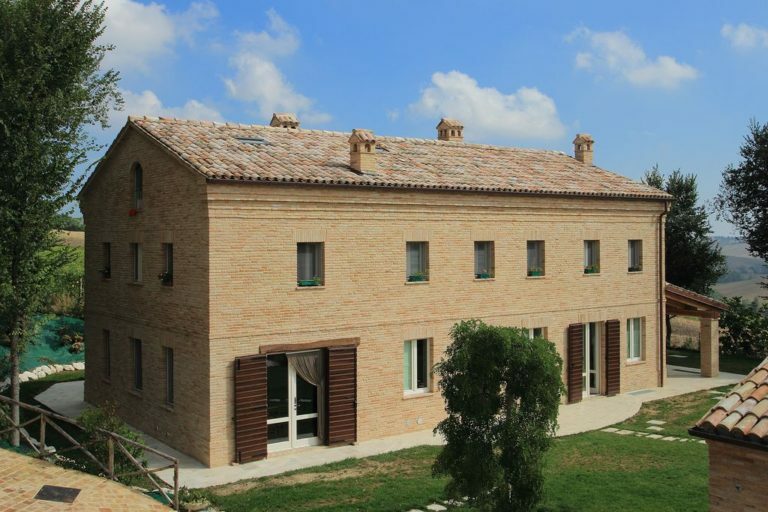 Since the main function of the building is a B&B, it was decided to use the old outbuilding for commercial purposes, turning it into a spa for guests with an apartment for those who want a real private stay, with two bedrooms. 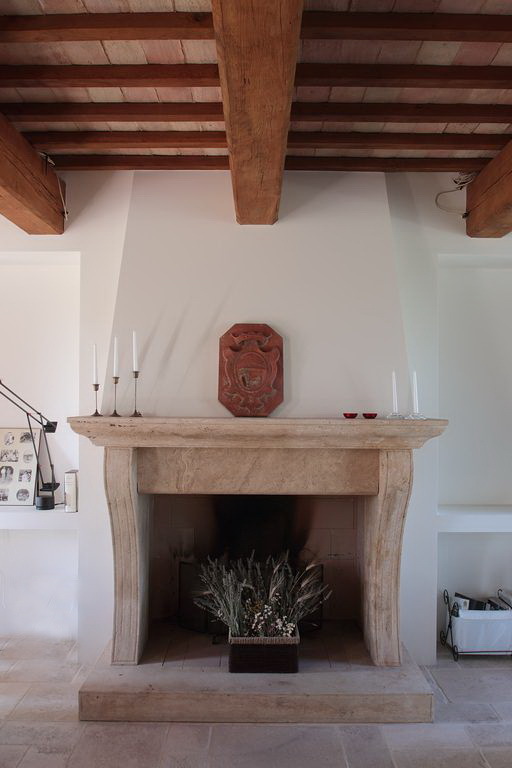 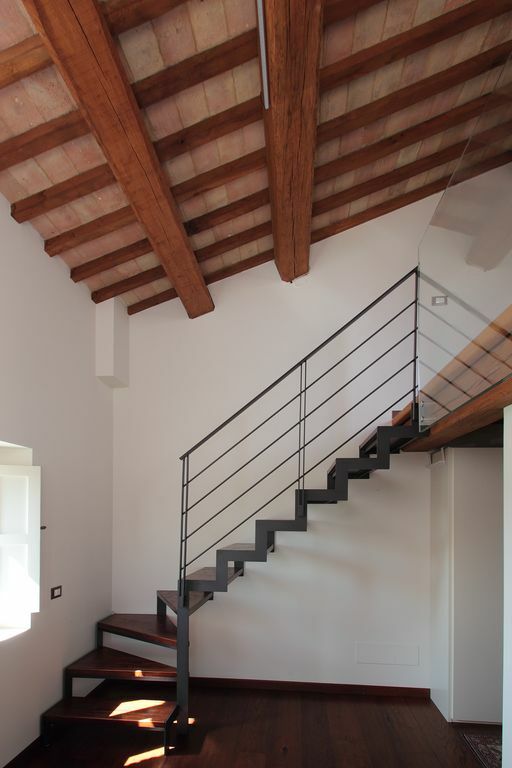 As for the coverings, the flooring is heated and on the ground floor, the staircase has been rebuilt, choosing for the floorings the stone of Trani, a beautiful light and antique stone in 3 sizes that even covers the staircase. 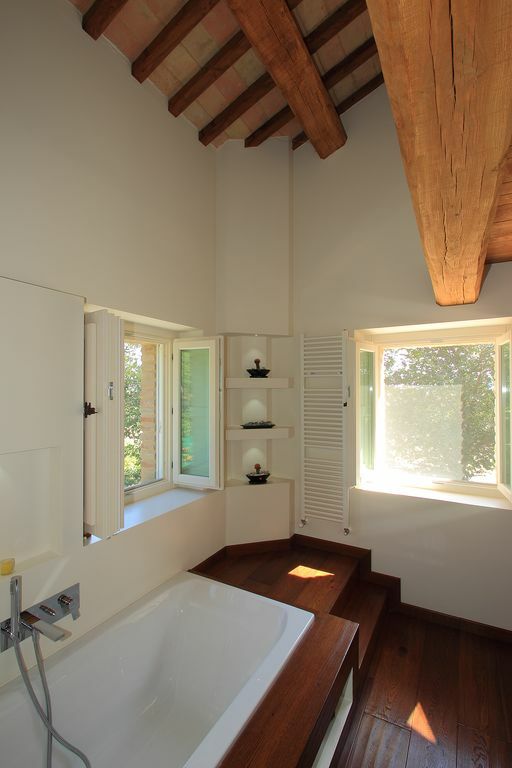 The bedroom area instead is optically heated by parquet; each room has a different wall color and name because it is a B&B. 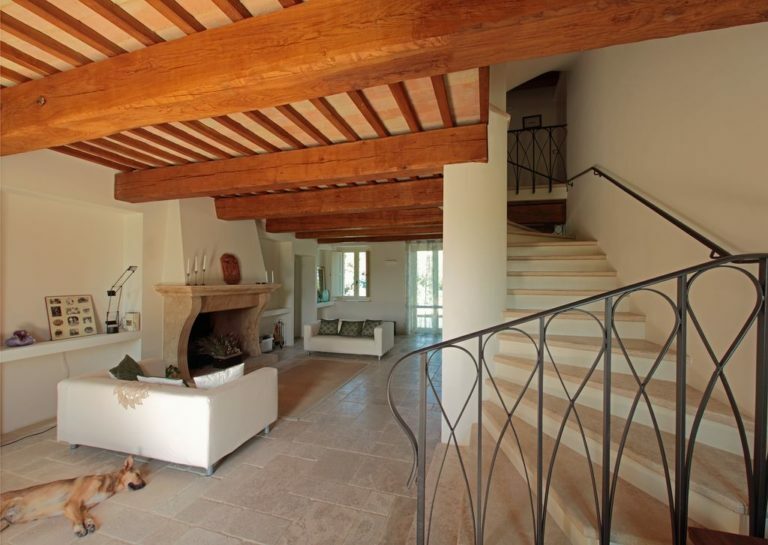 The outbuilding is much more rustic in style, with terracotta everywhere. 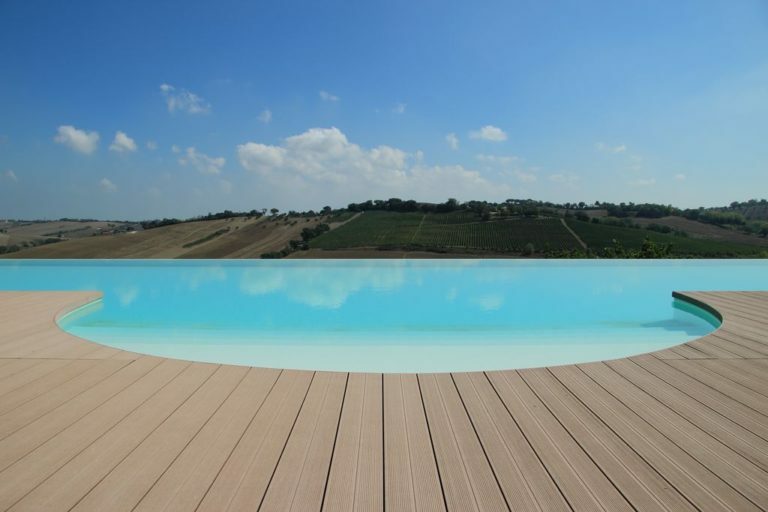 Outside there is a beautiful 20-meters-long infinity pool overlooking the vineyards. 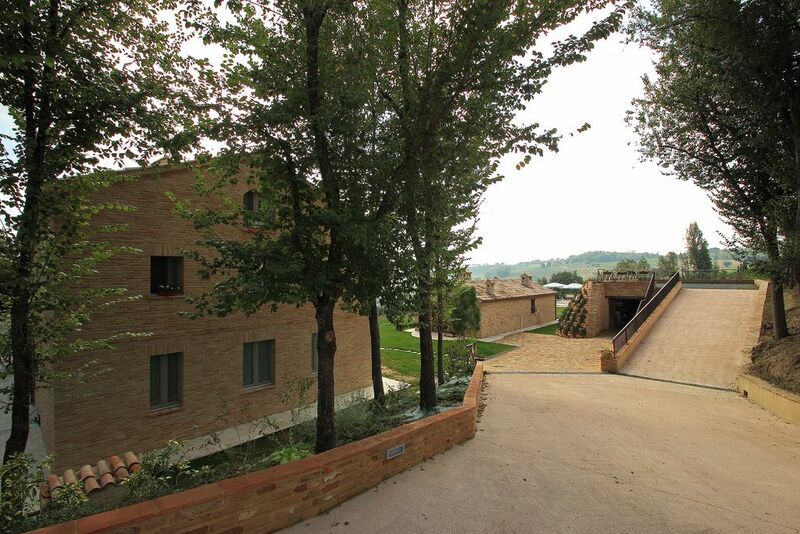 In the large perimeter deck, it is possible to plan events such as wine-tastings, concerts and other types of entertainment for all the guests of the structure and also for more people. Even here, we have the heated floor, even from the sun, while the pool is heated by solar panels. 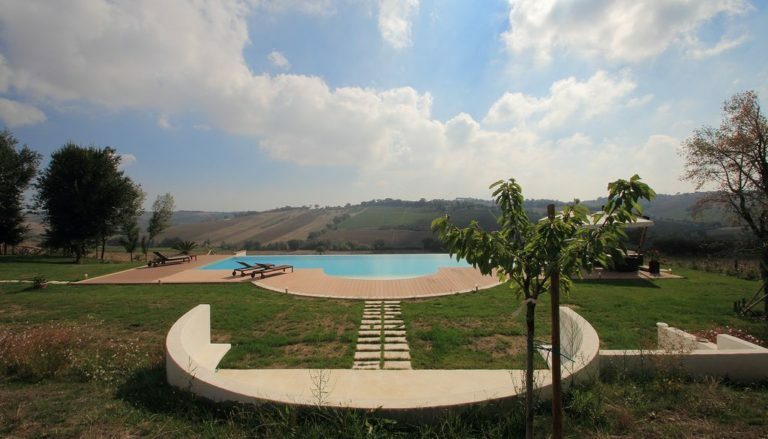 To sum up all this, in the surrounding area, there is a small educational space: a vegetable garden prepared for guests.